Both sepsis and renal dysfunction are common in critically ill patients. A consensus definition for sepsis has existed for over 20 years, and more recently renal dysfunction has also been categorized by consensus into progressive grades and termed acute kidney injury (AKI). Of patients in the intensive care unit (ICU) who develop AKI, sepsis and septic shock have been estimated to be the likely cause in 11–50% of cases (Bagshaw et al. 2007a; Oh et al. 1993; Metnitz et al. 2002; Schwilk et al. 1997; Douma et al. 1997; Uchino et al. 2005). The incidence of AKI increases with the severity of sepsis, from approximately 19% in patients with moderate sepsis, to 23% in patients with severe sepsis, and 51% in patients with septic shock (Riedemann et al. 2003; Rangel-Frausto et al. 1995). AKI in septic patients, or septic AKI, is frequently associated with other organ failures. 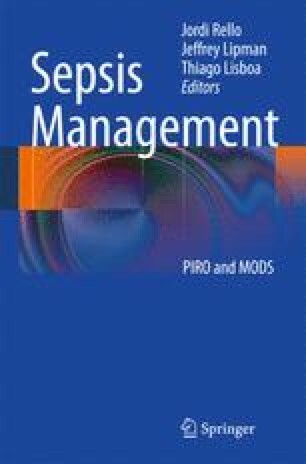 A retrospective analysis of over 120,000 patients in Australia and New Zealand, demonstrated that patients with septic AKI had greater physiological derangements with higher simplified acute physiology score II (SAPS II) and sequential organ failure (SOFA) scores, and a greater requirement for mechanical ventilation and infusion of vasoactive drugs, than non-septic AKI patients (Bagshaw et al. 2008). In this study septic AKI was associated with significantly higher covariate adjusted mortality in ICU (OR 1.60, 95% CI 1.5–1.7) and hospital mortality (OR 1.53, 95% CI 1.46–1.60) compared with non-septic AKI (Bagshaw et al. 2008).